I think someone is starting to look more like their Momma! Miss you guys! Oh my goodness! First of all, that's about the cutest outfit EVER! She looks so adorable! Call me soon and we'll do lunch! She is so adorable! 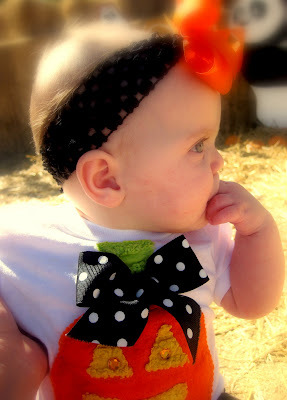 Love the outfit and bow! :) I tagged you! Where were these taken?? 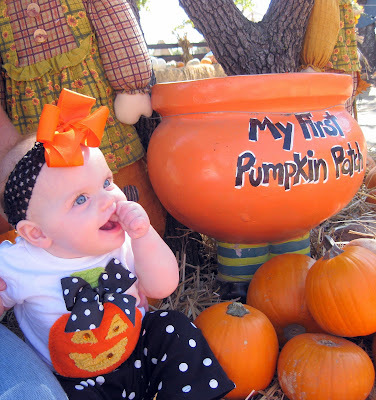 Gracie looks so cute sitting in the big pumpkin bowl! 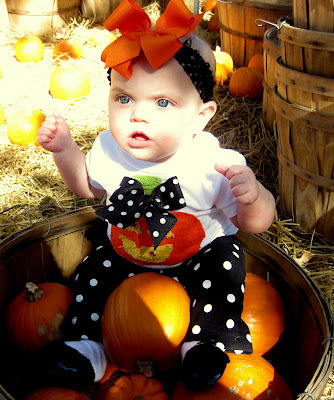 I need a pumpkin picture of Charlie!! Where were these adorable pictures taken? 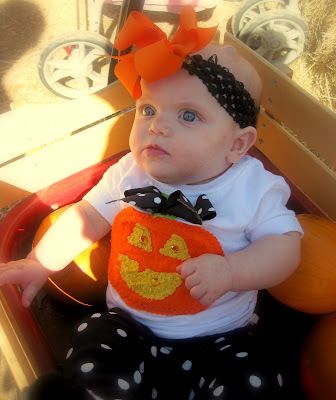 I have a little girl and would LOVE to get her first pumpkin patch pictures taken there. She's beyond adorable!! Blessed by Grace!! 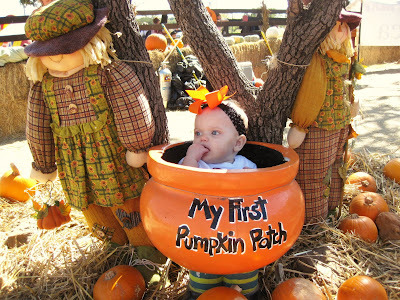 They were taken at the pumpkin patch in Flower Mound off 1171. It is a really fun place and it is completely free!! I can't wait until she gets old enough to enjoy all that they have there. I can't wait to see her in person! Less than 2 weeks away! this is pretty much the cutest i've ever seen! !